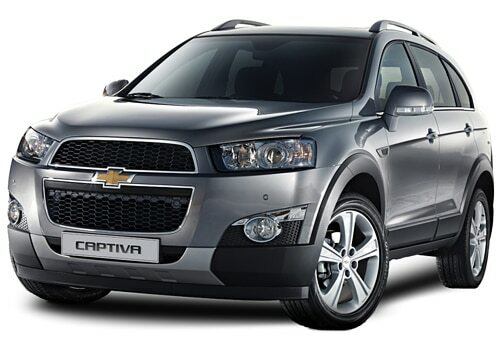 General Motors look to reinforce its garage of Chevrolet cars in the Indian market by launching the new Chevrolet Captiva 2013, a face lifted version of the Captiva. Chevrolet`s official Indian website has confirmed the news by displaying a set of pictures of the updated version of the coupe. The competition in the Indian SUV market gets interesting and intense with its launch. 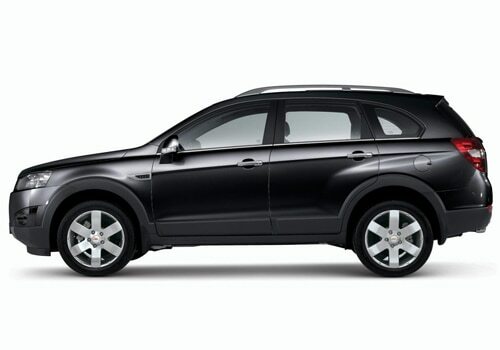 Chevrolet Captiva price has been tagged effectively to fit well in the market and to be competitive as well.The coupe has been given certain minor changes that will keep the car in trend for few coming years. The front end is modified to give new fog lights, new bumper design and a refreshed front grill with a revised mesh. The rear end is also given a new bumper design with a modern exhaust tips. The new attractive set of tail lights are inserted with classy LED light treatment. Other exterior modifications are the brand new 18 alloy wheels that add an impressive look to the car and make them classier than the previous units. There are a few changes from the interior as well. This is equipped with a new instrument cluster and with a new and improved upholstery. The higher end variants are provided with an optional leather upholstery to amplify its beauty. The car is equipped with a list of striking Chevrolet Captiva features like heated back seats along with double zone climate control as well as ambient lighting pack. It also gets a key-less start and a key-less entry feature for the higher end variants. However, it is expected to be powered by the same engine as its previous variants which is a 2.2 litre diesel engine producing a power of 186.5 bhp at 3800 rpm with a maximum torque of 424 Nm at 2000 rpm. There could be some improvement in the mileage as well owing to its design modification. It has all the necessary safety features like Anti braking system (ABS), Emergency brake disc (EBD), Electronic stability program (ESP) with rear seat belts. The company will look to capture the Indian market with the launch of the all new car from the sheds of the brand. It will basically target the sport car enthusiasts and the better to do section of the society. The company could look for a strategic time of launch to boost the demand. The company could again reinvent and redesign the Captiva to stay in contention. Check out the Chevrolet Captiva pictures to have a look the enticing interiors and beautiful exteriors and Nissan has launched the special edition of Nissan Sunny in India.